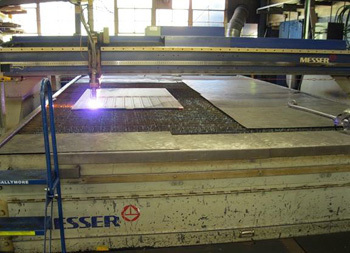 We provide CNC cutting services using an HPR260 CNC HyPerfomance plasma cutting system. This high-definition plasma system is capable of providing services dross-free cuts on carbon steel, stainless steel, and aluminum. Dross results from material that is melted, but not removed during the cutting process, resulting in an uneven surface finish where cuts were made. While older plasma system often required parts to be processed after cutting to remove dross, our high-definition system has an ultra-concentrated plasma stream that cuts material up to 1.25" without the need for any secondary processing. 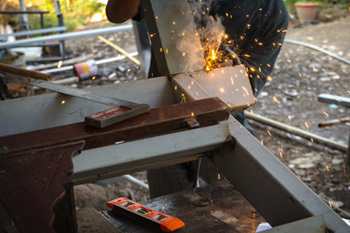 For heavy fabrication applications, we are able to cut through carbon steel up to 2.5" thick. 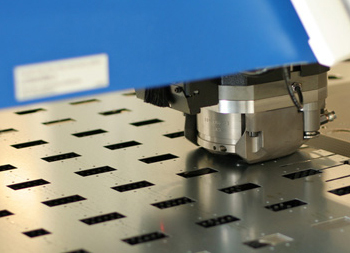 Our services include advanced CNC punching capabilities that allow us to perform several sheet metal fabrication services & processes in a single cycle. Our capabilities include forming, embossing, perforating, rolling, and lancing to create custom louvers, flares, ribs and other part features. We work with carbon steel, stainless steel, aluminum, and other metals to create custom sheet metal parts for customers in the HVAC, petrochemical, and other industries. 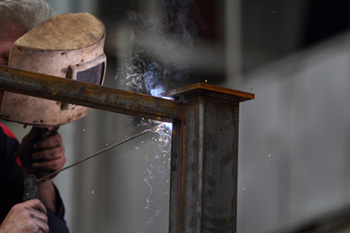 Our welders are AWS certified and specialize in welding enclosures, pipe manifolds, duct work, and other custom products used in the HVAC and petrochemical industries. Our services perform flux core arc, gas metal arc, gas tungsten arc, spiral arc, shielded metal arc, and twin carbon arc welding under AWS certification. These processes can be used to weld steel, aluminum, stainless steel, and numerous other metals. We provide part repair services that can accommodate the needs of virtually any type of equipment. This service is ideal for older machines and systems that are out of warranty with the OEM. Our services can reverse engineer, rebuild, and redesign machinery components or entire pieces of equipment for customers in various industries. The ability to custom fabricate repair parts can provide a very attractive cost saving option to purchasing completely new equipment. Our experienced fabricators are able to create parts from a range of materials such as steel (stainless), and aluminum, as well as exotic metals. Jupiter Design & Manufacturing / Fabrication Services © .